We're rockin' into a new month and we've got a little bit of summer still ahead of us! 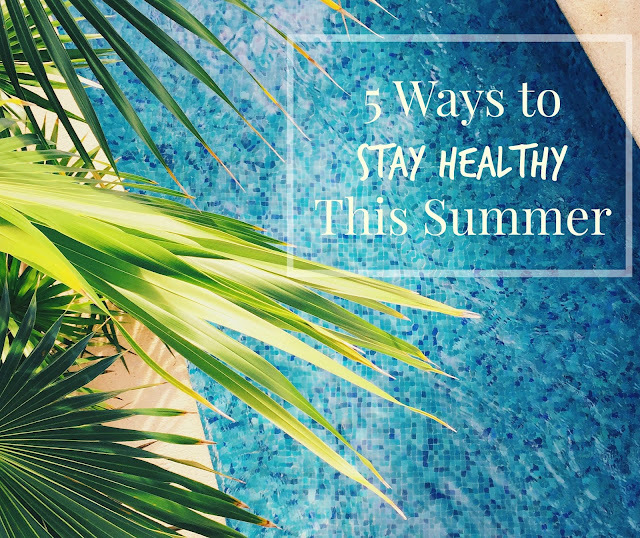 Summer is a great time to invest in creating healthy habits that will benefit us all year long. Staying fit and healthy is a priority of mine, and I'm often asked about my workout routines/what I eat, etc. While I'm not a nutritionist or fitness professional, I have found that these five simple tips, when put into action, will definitely make a difference in your lifestyle and overall wellbeing. Most of us go throughout our days dehydrated, and with our bodies being made up of about 60% water, it's important to stay hydrated. During the summer, we lose even more water, due to higher temperatures, and it is essential for your mental clarity, overall health, and energy levels to drink about 8, 8oz glasses (or 2 liters) of water. This may sound like a lot, but when done over the course of a day, is easier than you may think. When I wake up in the morning, the first thing I do is drink a big glass of water or two, and then I carry a water bottle with me to refill throughout the day. Drinking water will help kickstart your metabolism and hydration will also help the body to actually signal food craving when it is hungry and not just thirsty, so you'll end up eating less calories. If you are doing any kind of exercise, make sure to stay extra hydrated, especially if you're training outdoors. Personally, I make sure to drink water before I exercise and afterwards I drink a second bottle of water with electrolytes to ensure that I am properly rehydrating. Coconut water is a great natural source of electrolytes and something you can take to the gym for a post-workout pick-me-up. For those of you who aren't plain water fans, throw a few slices of fruit, cucumber slices, or mint leaves into an sport infuser and create a combination that you'll love sipping on. 2. Get active and exercise consistently. For most of us, consistent effort is the key factor to our fitness goal achievement. There was a time when I thought it was a specific type of routine, or diet plan that would magically give me the results I wanted, but honestly, it's more about showing up and sticking to a routine that has been most effective. While spending long hours in the gym or on the treadmill may work for some, it's not the only way to see results, and you'll have to find the kind of workout that is best for you. The good news is that you've got plenty of options to choose from! Personally, I enjoy a mix of running, weights, and HIIT or circuit training. Occasionally I'll throw in a barre or spin class into the mix, and I have gotten into some yoga for stretching and recovery. Again, this is not the only way that works, it just happens to work well for me and my schedule. When I'm traveling, I make fitness a priority, and still make time to either hit the hotel gym, take a class, or do a bodyweight circuit in my room. 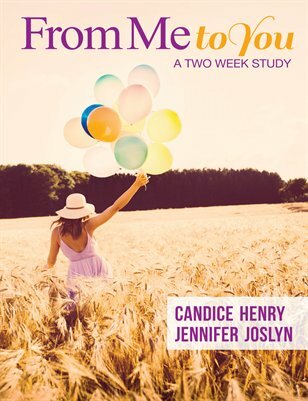 Not only does it help me to stay on track, but I also feel much more energized and clear-headed when crossing time zones and dealing with jet lag. Pick a type of activity, whether that's walking, running, sports of some kind, or classes, and be really consistent. You'll be so glad you did! 3. Eat clean and with moderation. Just a small disclaimer here: always consult a professional before making any big diet or exercise changes. Ok, with that out of the way, here's my tip: eat clean!! So many of the foods available to us in grocery stores are filled with preservatives, fillers, additives, and just plain chemicals. Instead of processed stuff, look for the beautiful colors and flavors found in fresh fruits, veggies, greens, and choose healthy sources of protein. Now, this is not to say that you cannot have ice cream, chocolate chip cookies (my personal fave! ), or the occasional indulgence of your choice. The guideline that I stick to is moderation and self-control. If you want an ice cream cone on a hot summer day, by all means, go enjoy one, but don't devour an entire pint all by yourself. You'll find that the more you eat clean, natural food, the more you'll crave it over highly sugared and processed things. Also, there's been lots of fad diets over the years that have said all kinds of things are good, then bad, then good again...be wary--very wary--of anything that promises some sort of miracle results. If it seems too good to be true, it probably is...I'm looking at you, detox tea fads. Personally, I do my best to eat clean foods, but it's all a balance, and I will enjoy the occasional burger or dish of really good mac and cheese. For creative, clean recipe inspiration, I go to Tone It Up, Kayla Itsines' Blog, or Clean Eating Mag. This one is actually applicable to all of life, whether it's health focused or not, and its power is amazing. Accountability is essential to goal achievement and something I utilize on a daily basis. You're more likely to go to a class or to the gym if you know someone else is counting on you to be there, and you've got built in encouragement when pushing yourself to a new limit. In addition to having a running or gym buddy, I also like to use apps as accountability. For running, I like to track my progress using apps like Under Armour's Map My Run and My Fitness Pal. Nike also has some great running and training apps. A bunch of my good friends and I also use Charity Miles to track our activity and donate money to charity by working out. When you run, walk, or bike, Charity Miles will donate money, per mile, to a cause of your choice, and you can create teams with friends and family where you can track progress and push toward various team goals. Most of the people on my team do not live close to me, so it's really fun to encourage one another as we workout across the country and around the world together for a great cause. This app has by far been one of my very favorites because you can make a positive difference by doing something you're already going to do daily/weekly...oh and did I mention it's free?! Visualization is the secret sauce to this equation, really! If you're visualizing the things you want, your mind automatically begins to work on that mental picture, bringing it to reality in your life. We often wonder why so many bad things happen to someone, and many times it stems back to the kind of thinking a person has. What do you see yourself looking like/acting like/accomplishing? Spend time each day thinking about and visualizing the kind of person you want to become. If this is specifically fitness-related, think about how strong you want to feel, the specific fitness goals you are accomplishing, and the overall feeling of health and wellbeing you have. Get specific and imagine the details of that picture daily. Visualization has been incredibly powerful in my life, and I utilize it to bring my dreams to reality in a variety of areas. I challenge you to do the same and see what kind of positive effect it can have on your life! Here's to a happy, healthy, and fun-filled summer! needed to hear this and be reminded of it! i've been SO bad about my water intake, ahhh. i need to be better (and more accountable). I am feeling a need for change in the exercise department too..need to switch it up! Great advice!! I've been lagging this summer (maybe it's all the rain?) and I need some good motivation to get it into gear. Actually ran before work this morning - I hate running - so I've started today. Also Tone It Up app is really great too. Thanks, Taylor!! Yes, it's easy to forget how important a good amount of water is! I always feel so much better when I'm hydrated..especially in the summer. Thank you, Liz! Yay! Way to go; running is great! This is a great plan for health. I've started trying to drink 2 glasses of water befor meals to help with hydration and appetite. I love exercising in the morning, it is a great start to the day.